I woke up in Nashville….sorry I had to. I took the red eye so I literally woke up here. Now, why am I here?? My best friend Tyler (@bumpinthecity_) is preggo and I’m here to spend the week with her and get prepped for my little nephew Oliver!! I’ve never been to Nashville so this week is also going to be filled with all the local favorite places to eat, shop, drink coffee, etc. After sleeping until 11am and going to a Dr.’s Appt. we were starving and when we are together it’s always Taco’s or Taco’s!??? Tyler took me to this awesome spot called BarTaco. It had a beachy vibe so I actually almost felt like I was home in Cali. The staff was also incredibly friendly as were all the people eating around us. I had a marg to celebrate my first day of vaca and along with it we pretty much ordered the whole menu. 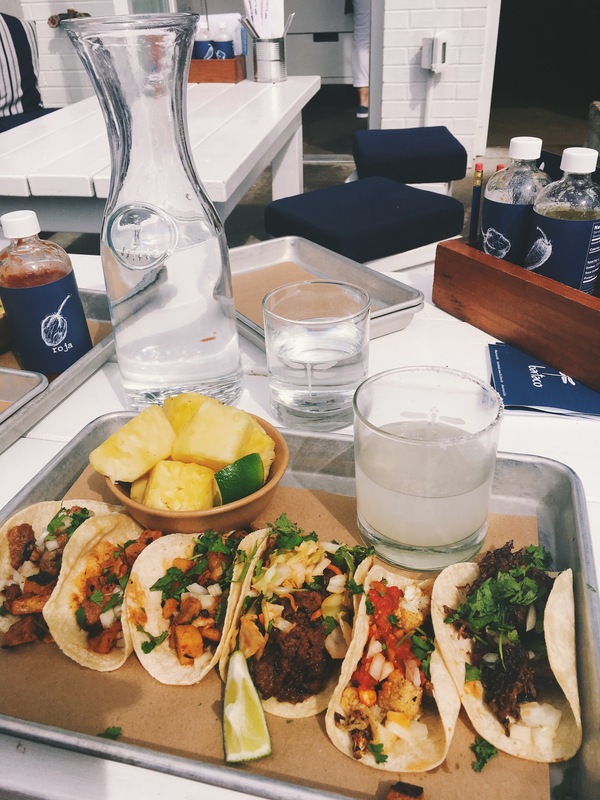 Cauliflower tacos, duck tacos, sesame ribeye tacos, pork pastor tacos, and a side of fresh pineapple. All delicious and all I would eat again and again but if I had to choose just one the Pork Pastor was definitely it. More to come. Stay tuned for the 5 days of Nashville!! !